CLEVELAND (September 28, 2017) – Calling all mad scientists! 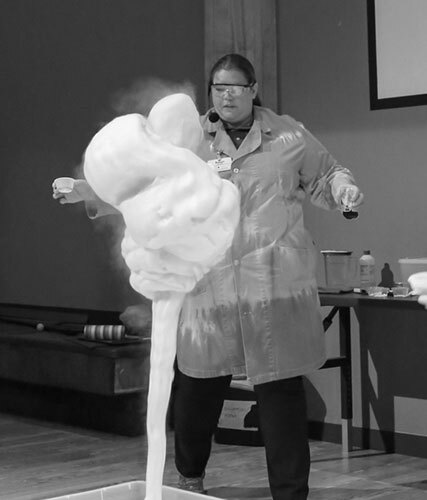 Great Lakes Science Center gets a hair-raising transformation with the return of Spooktacular Science on Saturday, October 21 and Saturday, October 28! Bring along your witch or wizard hat as you experiment with potions, brews and crazy chemical concoctions. Then, grab a friend and brave our spooky glow-in-the-dark room using your very own, homemade flashlight! Guests of all ages are sure to enjoy this family friendly Halloween-themed party. All activities are included with general admission and costumes are encouraged! Stay after-hours on Saturday, October 28 for a Halloween throwback to 1993 in our Cleveland Clinic DOME Theater! The Take Two! Double Feature begins at 6 p.m. with your favorite three witch sisters in "Hocus Pocus." Grab your friend for support as 8 p.m. rolls around and Bruce Campbell battles an army of the dead in "Army of Darkness!" Accidentally transported back to medieval times, "Ash" must find a book of spells to return to the present - before the dead find him. Beer, wine and other concessions will be available. Tickets can be purchased at the box office, or online. Potions, brews and crazy chemical concoctions are the stars of this colorful and entertaining demonstration perfect for wizards and witches of all ages. 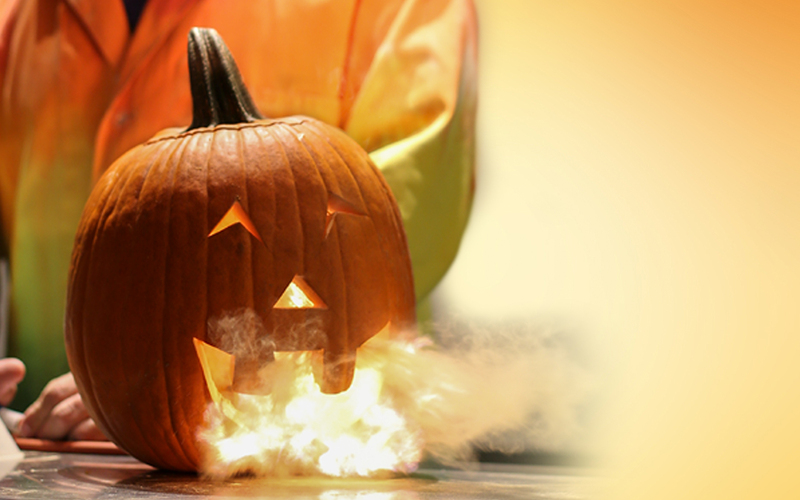 Times: 11:15 a.m. & 2:15 p.m.
What happens when you combine chemical reactions, pressure and pumpkins? 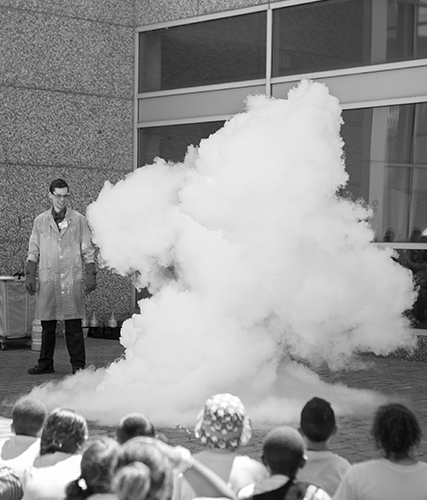 Stop by to find out in this explosively fun demonstration. Sparks fly as our mad scientists experiment with electricity and shoot lightning from their fingertips! Science gets ooey, gooey, slippery and slimy in this activity while we explore the chemistry behind slime and you make your own spooky creation to take home. Experience the “science behind the spooky” with a special stop in the glow-in-the-dark room. Be sure to make your own flashlight to help you explore the dark! Have you ever wondered what happens after you flush the toilet? Science gets messy and a little gross when we explore the truth behind the water of our Great Lake. Sponsored by NEORSD. Time: Hourly from 11 a.m. to 4 p.m.
Show off your costume and your best moves when the museum gets grooving to the best seasonal dance songs around. See Science Come Alive Right Before Your Eyes! 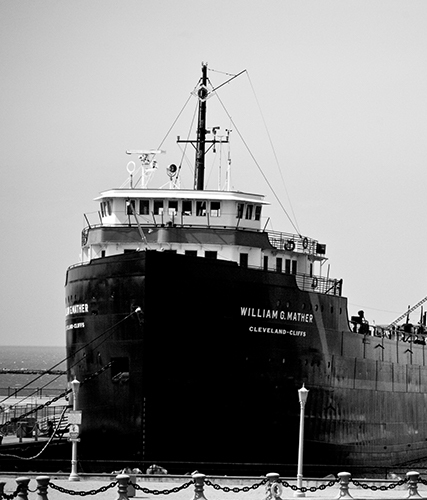 Tour the ship that build Cleveland!